The fate of Canada’s Internet censorship legislation will be decided in a Toronto court room next week. The fate of Section 13 of the Canadian Human Rights Act (Canada’s vicious Internet censorship legislation) will be heard on December 13 and 14th, 2011 in the Federal Court of Canada. While there is much discussion about a possible political resolution, the facts are clear: whatever happens next week at the Federal Court will either kill Section 13, or put it on ice for another few more years until the spineless politicians deal with it, via Bill C-304 in Parliament. The fate of Section 13 hangs in the balance of this appeal. While the Canadian Human Rights Tribunal found that Section 13 to be an affront to Canadians and threw out the law as unconstitutional, the Tribunal does not have the power to actually strike down a law in Canada. The Tribunal however has refused to hear any new cases and stopped all pending Section 13 cases in the system. The Federal Court of Canada on the other hand, DOES have the power to strike down a law in Canada, which is why this hearing will decide the fate on Section 13 once and for all. The hearing next week will be the definitive battle for freedom in Canada. Will Canadians continue to be subjected to the fanatical reign of censorship by the out of control “human rights” commission or not? The battles lines have been drawn and the hearing set. The fate of Section 13 hangs in the balance! In 2003, serial complainant Richard Warman filed a Section 13 complaint against Marc Lemire. The complaint alleged that Lemire “exposed” a long list of privileged minorities to “hatred and/or contempt” in violation of the Canadian ‘Human Rights’ Act. Lemire fought the ridiculous case against him for over 6 years, across close to 30 court days and in 5 cities. In 2009 Lemire was found innocent and the Canadian Human Rights Tribunal also found Section 13 (internet censorship) and Sec. 54 (fines) to be unconstitutional legislation. In October 2009, the fanatical CHRC appealed the case to the Federal Court to save their taxpayer funded censorship franchise. The Lemire case exposed the corrupt underbelly of censorship and documented how out of control the censors were. 3: In order to cover their tracks online, the CHRC has hacked into a private woman’s wireless internet account. The RCMP and the Privacy Commissioner of Canada has investigated the CHRC for criminal theft of internet communications. 4: The CHRC has submitted court transcripts to the Tribunal where devastating key testimony was oddly ‘missing’. 5: The CHRC invoked ‘National Security’ laws to attempt a cover-up and hide the misdeeds of their employees on internet message boards. They only admitted to spying on Canadians after an appeal to the Federal Court by Lemire. 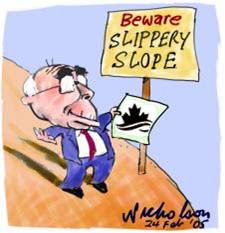 6: The CHRC was so despicable, that during the hearing they actually tried to have Lemire banned from his own hearing (Ottawa May 2007) claiming that national security was at stake if Lemire and the public saw the CHRC’s witnesses. 7: The Tribunal hearing was stacked against Lemire with 16 different lawyers representing taxpayer funded organizations and government bodies. The CHRC had at least 6 lawyers!